Are You Looking For A Heating Repair Service Contractor In Central NJ? Get In Touch With Our Contractors Close To You. If you don’t get prepared ahead of time, you may end up being stocked in a cold and uncomfortable winter. Don’t be caught unprepared, in the cold. All Week is considered one of the best HVAC companies in Central NJ, we work with a team of professionally trained and certified technicians, who will help you in solving problems you may face with your system, furnace or boiler. Whether you need the heating service for your home or business place, our contractors are always available to render a solution. We offer both simple maintenance and emergency services for Central New Jersey residents, our solution range from repairs, installation of new system, turn up of old system helping it remain functional. Our team offer emergency services 24/7 and would take them less than 45 minutes to attend to your need. So if you are in need of a system repair service within your neighborhood, you are on the right platform. You can use the search bar to locate the nearest heating contractor to you. Most people don’t consider maintenance of their heating system as a priority, but it is important to know that a brand new one would last longer if it is regularly properly maintained. A poorly maintained system may function inefficiently and could develop a fault or even get damaged anytime, faults could occur during the winter when your pipes get frozen. This means you will be paying the same expenses with a functional system while you receive less efficient service. Our team would do an evaluation of your heater and heating system setup and would help educate you on how to improve the state of your heater. 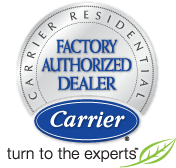 They would repair your system if needed, give you simple instruction on how to maintain your system by yourself, our team is also capable of helping you install a brand new system. Imagine the frustration of having a broken heater during the cold winter night our emergency crew is ready to attend to your needs any time of the day, all through the year even at weekends and holidays. Whether it is in the middle of the night or during holidays, we are available to attend to your needs 24/7. Contact us via phone, chat, or send us an email. Ask us any question regarding any matter you need clarification for, and we would be more than happy to assist you, we’ll prove to you that customer’s satisfaction is our priority and that our solutions are second to none. We are always available when you need us most.